Mzee1 Br. Vincent Soreng SJ, recently received a papal accolade for his care for our common home. The Eastern Africa Province (AOR) Curia organized a small gathering to celebrate Br. Vincent SJ, as he marked his immense contribution to the realization of the just promulgated Universal Apostolic Preferences by the Superior General of the Society of Jesus, Fr. Arturo Sosa SJ, and as confirmed by Pope Francis. The Pope recognized Br. Vincent's contribution to environmental conservation through the promotion of horticulture and forestry with his unique style of doing tasks quietly with great dedication, consistency, commitment, and amazing diligence. 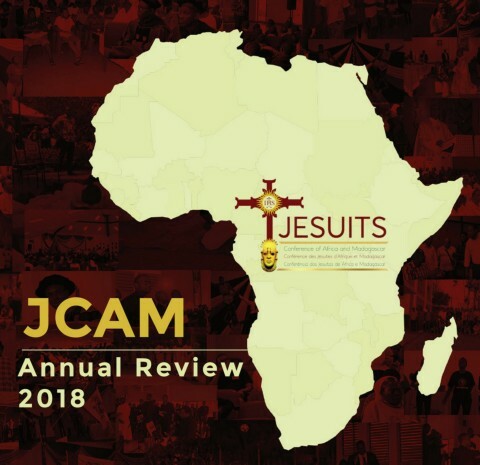 In gratitude for this recognition fellow Jesuits and Collaborators joined Br. Vincent for an outdoor dinner. Br. Vincent graced the celebration in his Roman Collar (a surprise to many, since that’s not his style), Mzee was honoured with a toast from his good friend, Fr. James Ayaga SJ, who said that Mzee Soreng envisioned and implemented Laudato Si long before his age mate Pope Francis promulgated it. Congratulations Mzee on this milestone, we rejoice together and celebrate your contribution to a greener world!